Not all reviews are equal. Some reviews are so good, they help the author(s) to advance their work and the editor to make an informed and timely publishing decision. These kinds of reviews help deliver breakthrough, verified research to the world faster. Editors are able to rate reviews if they are adding a record of the manuscript they handled or through the peer-review submission systems of integrated journals. 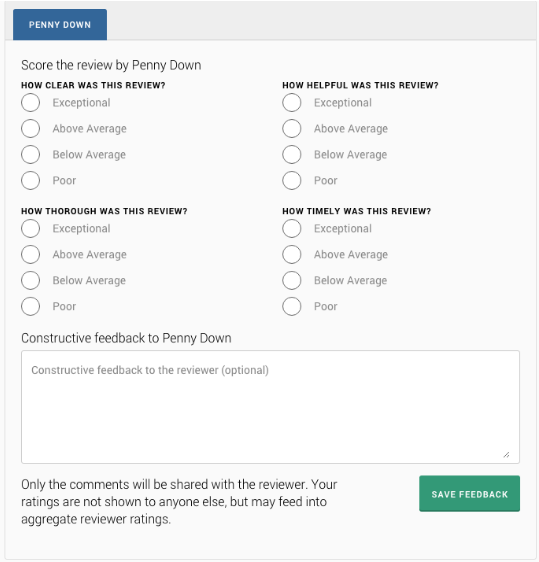 If you would like to ensure your editors have access to the review scoring rating and feedback system, get in touch.